Roger Federer continued his efficient play at the 2014 Championships, breezing past Santiago Giraldo into the fourth round. With rain suspending much of Saturday’s play, the roof was closed on Centre Court, ensuring completion of the day’s schedule. Never in doubt, the Swiss maestro did not lose his serve, while breaking serve on 5 of 9 opportunities. Continuing his fine form under the Wimbledon roof, Federer’s average second serve speed was 100mph, a sign of how strong his game is at nearly 33 years of age. The 7-time champion won 15 of 23 points at net, hit 27 winners and 14 unforced errors in the 6-3 6-1 6-3 victory. He needed 1 hour 21 minutes to book his spot in the fourth round, where he will face Tommy Robredo. 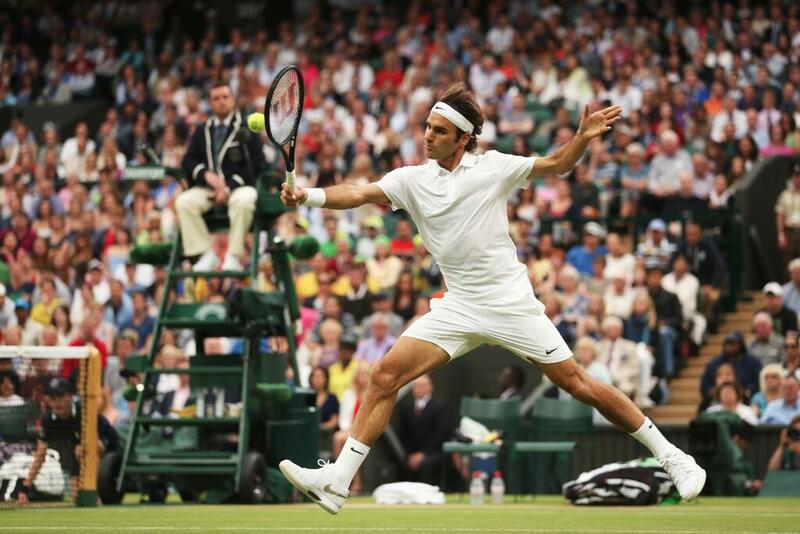 Federer is seeking to win a record breaking 8th Wimbledon title and record extending 18th grand slam.